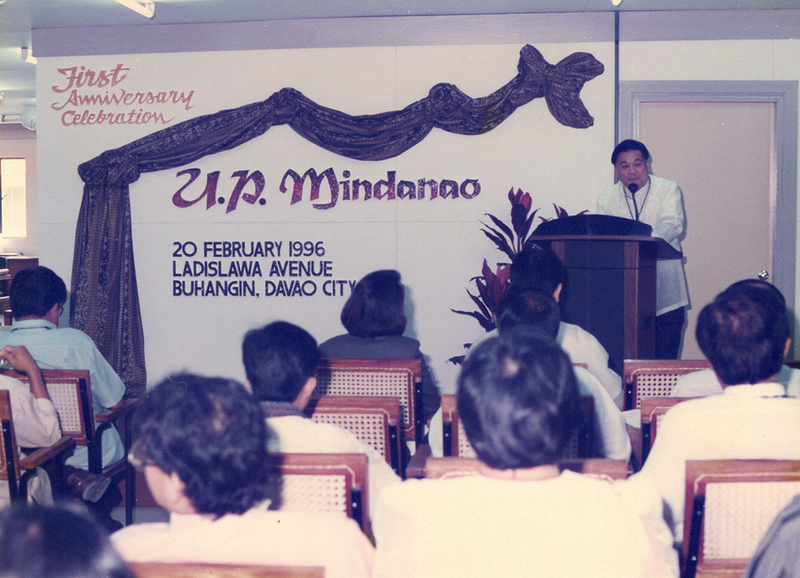 “For me, I associate education as liberation of the poor,” an animated John Gaisano recalls as he tells the story of how a UP in Mindanao was established. Gaisano, of the famed chain of shopping malls owned by his family, sees the ripple or multiplier effect of how a University of the Philippines campus right in the heartland can alleviate poverty. He illustrates this by citing actual stories from graduates of UP Mindanao. “We have about a thousand graduates, and when they go home to their hometowns, what do you think is in their mind? Of course they want to help their younger siblings. From 800 graduates, you now have about 1,600. And when they get married and have kids, where do they send their kids to? UP.” According to Gaisano, the typical UP Mindanao student is one with parents who may be laborers, farmworkers, or (street) vendors. Gaisano proposes that a UP education may help break the cycle of poverty. Mindanao, after all, has the country’s highest poverty rates. “UP is supposed to be helping the country, but why is it not here in the poorest regions?” Gaisano posed the question. Gaisano said that in the campaign to have a UP campus in Mindanao, he and his colleagues had to reach out to members of Congress, from senators to representatives. They found out that the Senate that time had a lot of UP alumni. “Actually, you know, it’s like you start a ripple in the water. You keep doing it until it creates a small wave, then a big wave. Now, will it ever happen? We don’t know that but we cannot think it cannot be done. The moment you think it cannot be done, you will stop doing and it will never happen,” he declares. 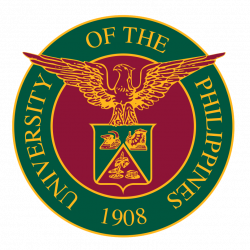 After relentless campaigning, the establishment of UP Mindanao was realized during the term of Philippine president Ramos, seeing the light of day during the term of UP President Emil Javier. However, many other hurdles still had to be overcome. During the term of President Macapagal-Arroyo, then House Speaker Nograles told Gaisano that the amount requested for the UP Mindanao budget was too large to be given under one General Appropriations Act. It could only be through appropriation distributed across three to five fiscal years. A university must have at least three colleges before it can be called one. To do this, some capital had to be injected to UP Mindanao. Gaisano along with alumni Angie Angliongto led a series of successful fundraising activities and solicitation of donations. He envisioned UP Mindanao to be a center of expertise when it comes to managing natural resources, such as land, mining, agriculture, and the seas. 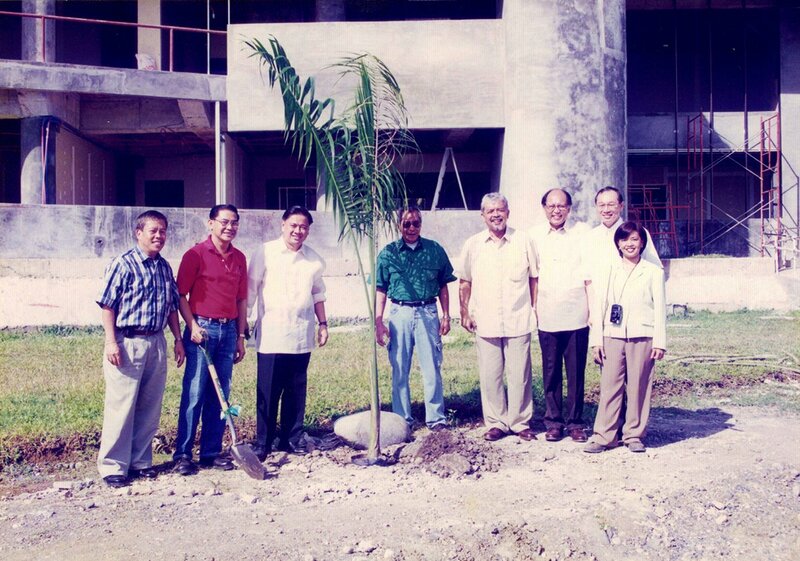 Gaisano initiated the establishment of the UP Mindanao Foundation, separate from the UPAA Davao, with the goal of encouraging UP faculty from other UP universities to come to UP Mindanao. 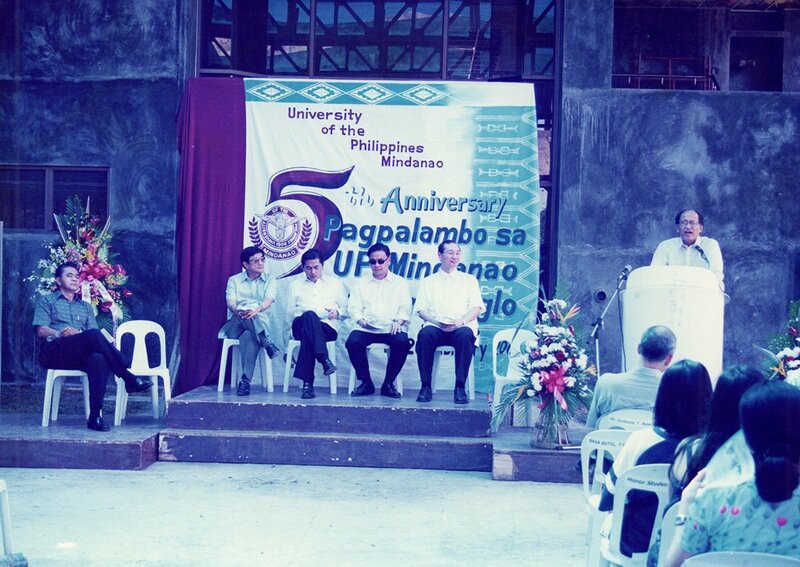 Later on, the UPMF also extended their financial assistance to the poorest students. 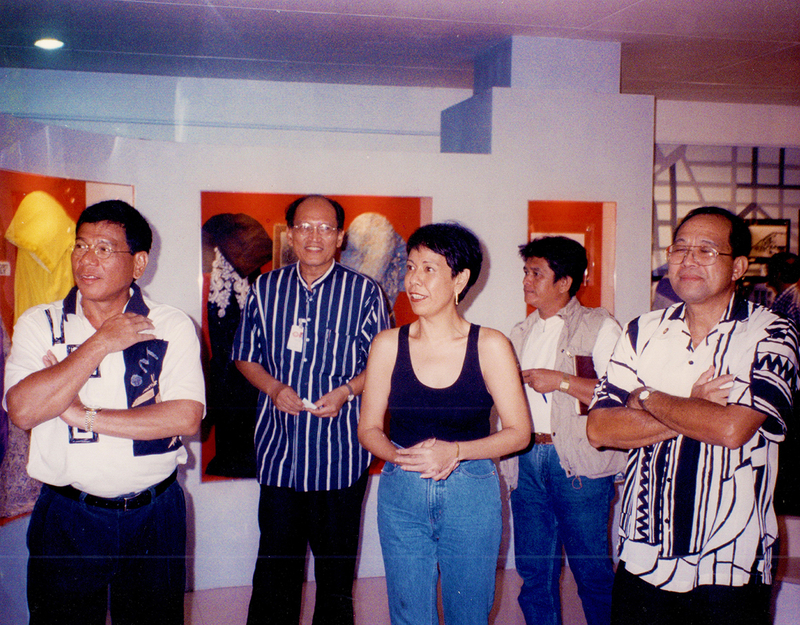 During one fund raising event, he remembers sharing a very small table with then Senate President Angara and then UP President Javier to meet with donors who were mostly UP alumni. Gaisano suggested the roles: he would talk about the relevance of having UP in Mindanao, Javier talked in detail how this would benefit businesses in Mindanao, and finally Angara would deliver the punchline. The board of UPMF also decided not to touch the principals of the donations, and instead just use the interest as operating funds to grant financial aid. Gaisano was not even supposed to study in UP in the first place. “I think my father valued education a lot because we were based in Cebu and only flew to Manila for studies. That time I think we only paid P300 for my UP education compared to around P5,000 in the school across the street,” Gaisano recalls. Looking forward, he envisions that UP Mindanao will institute important degree programs to help Mindanao grow. UP has both the capacity and the freedom to design specific programs with competent faculty and research staff. He also hopes that the sports facilities will be improved as an added come-on, as more UPCAT takers mean more quality students who could in turn occupy key leadership and influential positions within Mindanao. In closing Gaisano shares a memorable anecdote. He was once invited to a town fiesta in a far-flung area, inaccessible to most modes of travel except by driving or by walking. A lot of his colleagues warned against going there for obvious security reasons as he is a prominent businessman. He nevertheless went and was introduced onstage by the municipal mayor. After the program he was approached by a young lady who introduced herself as the mayor’s executive assistant. 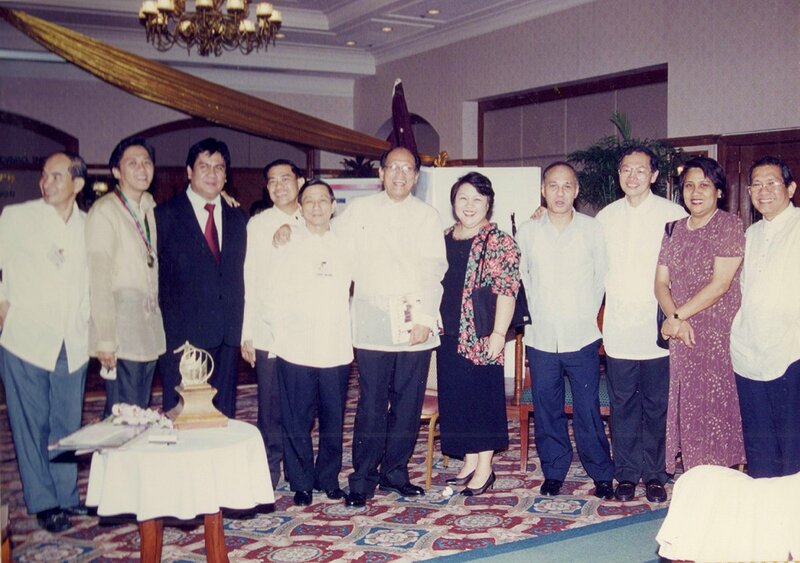 “Sir, I was a scholar of the UP Mindanao Foundation,” the lady revealed. “I’m in the last few chapters of my life,” Gaisano said. “In fact, I’m preparing for the next generation to take over our businesses.” But he sees a great future in the hands of the products of UP Mindanao, one that he helped shaped from vision to reality.